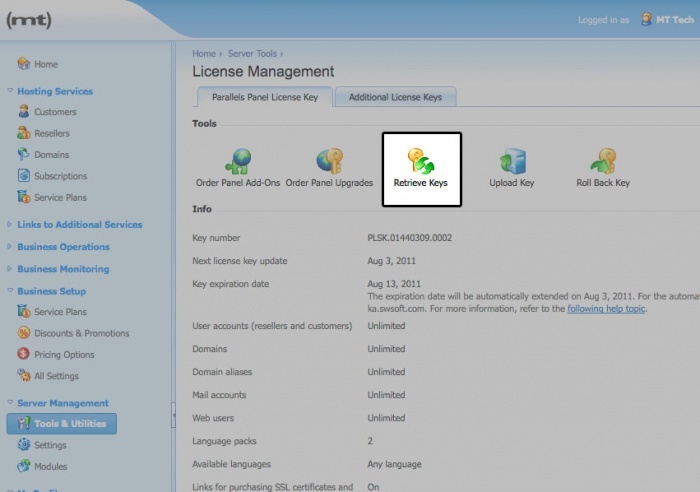 Whenever you upgrade or downgrade your Plesk domain license for your DV server or DV, you will need to Retrieve Keys to apply the license. 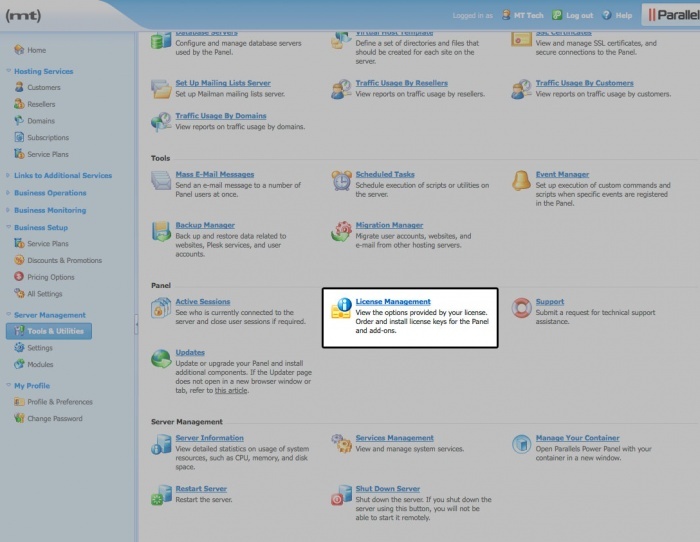 The DV 4.0 and DV both come with a 100-domain Plesk license. Please contact our Sales department if you would like to upgrade to the unlimited domain license. 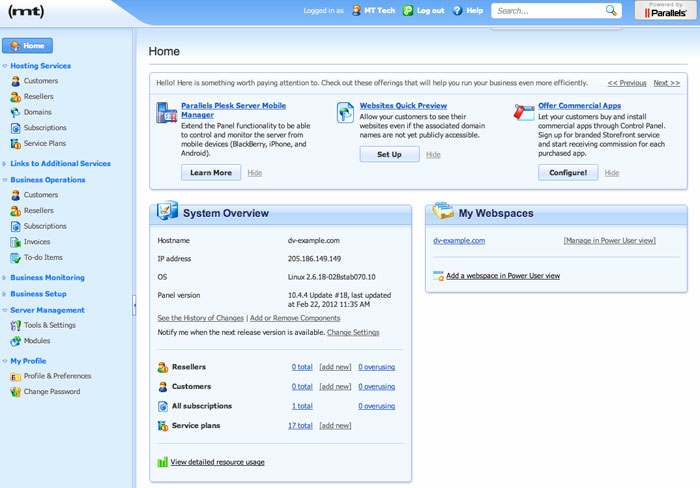 Click on Tools & Utilities in the left navigation menu. This is located under Server Management. 1. First, navigate to the Server tab. 2. 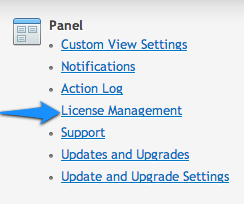 Near the bottom of this menu, look for License Management under the Panel heading. 4. That's it! If you run into any trouble or receive additional error messages, please contact Customer Support.